The two professional footballers have launched a skincare and well-being brand which aims to help the planet as well as peoples' skin. Football stars Mathieu Flamini and Mesut Özil have unveiled a new company and have partnered with Nike’s Breaking2 creative director Rapha Campos to create this release film. Called Unity, the skincare and well-being brand is designed to put people’s health and our planet on the right path to a sustainable future. To accompany the launch Unity has also released a film, produced by Tracy Stokes at Like Minded Individuals and directed by Rattling Stick’s Ivan Bird. “Unity came from a passion to prove that we can do good for ourselves, while also doing good for our planet." Called It's Half Time for the Planet, the film opens on a distressing image of a plastic- and debris-strewn sea as we hear Flamini ask for support to stop any further destruction. 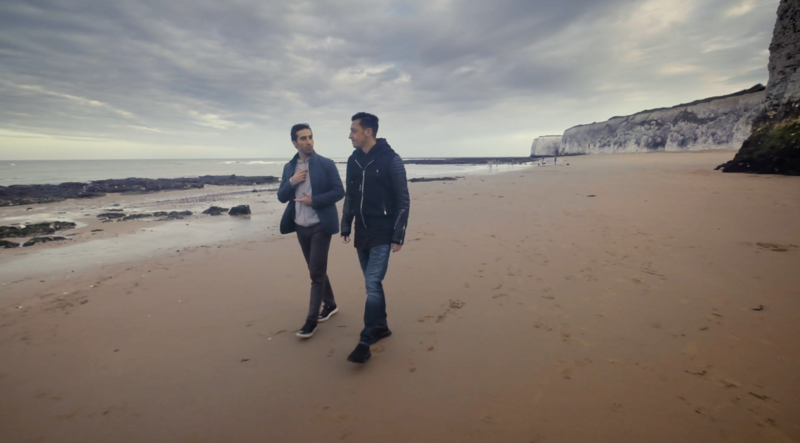 The film, intercut with stunning images from around the world, follows Flamini and Özil walking along a beautiful beach discussing the future of the planet and calling for change.